Whilst I don't want my blog to fill up with young adult book reviews (doesn't the blogisphere seem full enough of them already? 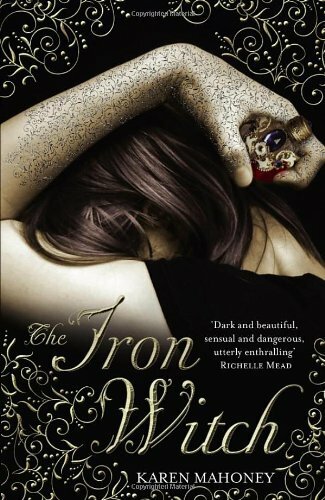 ), I did want to share a few thoughts about The Iron Witch by Karen Mahoney. But no, the Ironbridge in this book is a generic American city. The author blurb does state that she wants to move to Boston one day so this might explain the desire to write for the American market. I'm sure the majority of younger readers are not going to care about a sleepy village in Shropshire either. I liked the premise of the book and was glad that the Fey were of the evil variety that I've become accustomed to from some of my favourite series. I just didn't feel it had enough oomph, therefore it gets a slightly weathered three iron stars. I think we're spoiled for eclectic readers on RiSi! I'd like my blog to come across as eclectic too but it's only early days.